Cargo room can be a very important factor when purchasing an SUV. Whether it is a load of groceries, golf bags, fishing poles, ski gear, other sports gear, bicycles, furniture, luggage, or any other items, cargo room can really come in handy. So what is the SUV with the most cargo space? We help buyers find the SUVs with the most cargo room to meet their needs. When you are talking about cargo room, full-size SUVs really deliver the goods. Models such as the Chevrolet Suburban, Ford Expedition, GMC Yukon XL, Nissan Armada, and Toyota Sequoia are the largest of all SUVs and have the most room. Each of these models have a starting price of about $40,000. 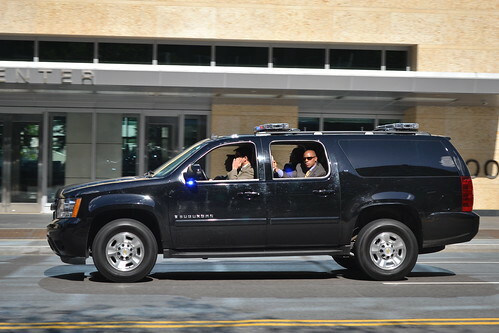 But the SUV with the most cargo space is the 2012 Chevrolet Suburban. The Suburban has a long history. Chevrolet first introduced the Suburban Carryall in 1935 and in 1973 the real predecessor to today’s Suburban was introduced. The Suburban and is the ultimate people hauling SUV. With room for 9 passengers, and a length over 18 feet, the Suburban is a behemoth. The model is popular with outdoorsmen and others who want the most space with off-road capability. Despite its mammoth size, the Suburban’s fuel economy is surprisingly not much worse than some mid-size models. The 2012 Suburban LT 1500 4WD has EPA rated fuel economy of 15-mpg city and 21-mpg highway. In comparison, the 2012 Jeep Grand Cherokee Laredo 4X4 is rated at 16-mpg city and 23-mpg highway. For those seeking more luxury, full-size luxury SUV models include the Cadillac Escalade, Infiniti QX56, Lexus LX 570, Lincoln Navigator, and Toyota Land Cruiser. These models have starting prices of about $60,000 to $80,000. 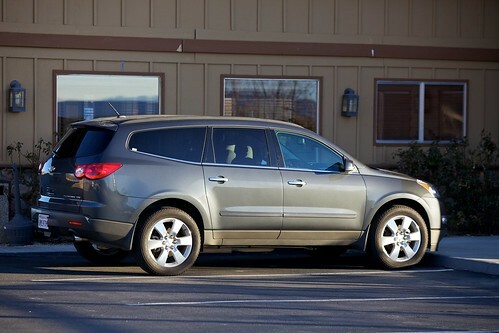 In other classes, the Chevrolet Traverse and GMC Acadia are real standouts as midsize three-row crossovers. They have 116 cubic feet of cargo room and fuel economy of 17-mpg city and 24-mpg highway. Each deliver more cargo room than the Nissan Quest minivan. The Mazda CX-9 is also a standout with 101 cubic feet of cargo room, which is comparable to many full-size models. In the compact class, the Toyota RAV4 has a best-in-class 73 cubic feet of cargo room. Many people would see a Suburban and think its cargo room couldn’t be topped. But that is not the case. The Chrysler Town & Country, Honda Odyssey, Kia Sedona, Toyota Sienna, and Volkswagen Routan all have more cargo room than the Suburban. This makes minivans a very smart choice for practical, fuel-efficient use of cargo space. Which is your favorite full-size SUV? 2012 Lincoln Navigator edition has been provided with a highly impressive cargo space that is found to be around 103.3 cubic-feet, next best to the Cadillac Escalade’s 108.9 cubic-feet.